Combos Coupon: $1 off one! Here's a really high value coupon for one of my favorite guilty road trip snacks!!! ;-) $1 off one Combos (13 oz bag). I haven't tried the Jalapeno Cheddar ones (yet!) but I think I may have to now! What's your favorite flavor of Combos?!?! Amazon: Tracy Reese Beach Towel over 75% off!!! Only $6.58 & Free Shipping with Prime! It's the best time to stock up on some pool & beach supplies for next year! Amazon has this really cool Tracy Reese beach towel for only $6.58 and FREE SHIPPING with Amazon Prime! Regular retail is $30! That's 78% off!!! 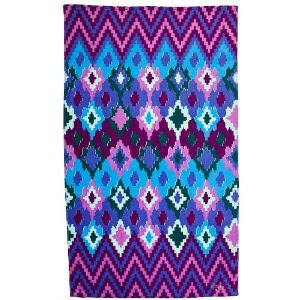 There's 1 other style of the Tracy Reese beach towel that's only $6.26!!! It's the Apricot Diamond design! I'm sure these will go fast! Starting on 9/12 (next week) you will be able to treat you & your man to FREE Nivea Men's Body Wash PLUS make $1 on it! Then you get back $4.99 ECB!!! You just made $1 for getting the body wash!! !